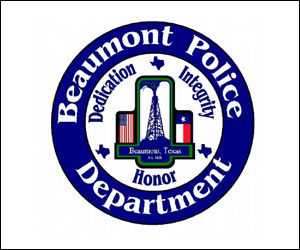 Sunday, September 25, 2016 at 3:38 AM, Officers responded to an alarm at McMakin’s Pharmacy located at 4225 Gladys St. in Beaumont. Officers arrived at 3:41 AM and checked the building with one of the owner’s. They noticed a large hole in the ceiling in a back room. They watched the surveillance footage and at 3:02 AM a white four door sedan with three subjects wearing hoodies , appeared on the south side of the business. They attempted to gain entry through a door, but were not successful. At approximately 3:13 AM, two of the subjects climbed on the roof and possibly had a sledge hammer. The white sedan was later captured leaving toward Lucas St. The burglars caused over $5,000 worth of damage to the business. If you have any information about this burglary, contact Southeast Texas Crime Stoppers at 409-833-TIPS. 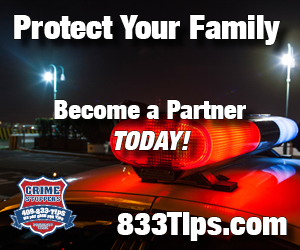 All Tips are anonymous and you could be eligible for a cash reward of up to $1000. 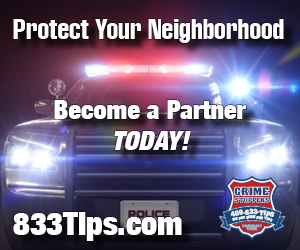 Crime Stoppers is a non profit organization, no tax dollars are used for this program. 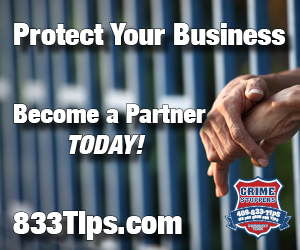 Crime Stoppers is run by local business owners and citizens of Southeast Texas. 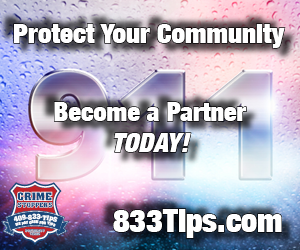 To learn more about Crime Stoppers of Southeast Texas, log on to www.833tips.com. Help be a crimestopper and make your donation today.